I made these little cakelets on the weekend for a treat. 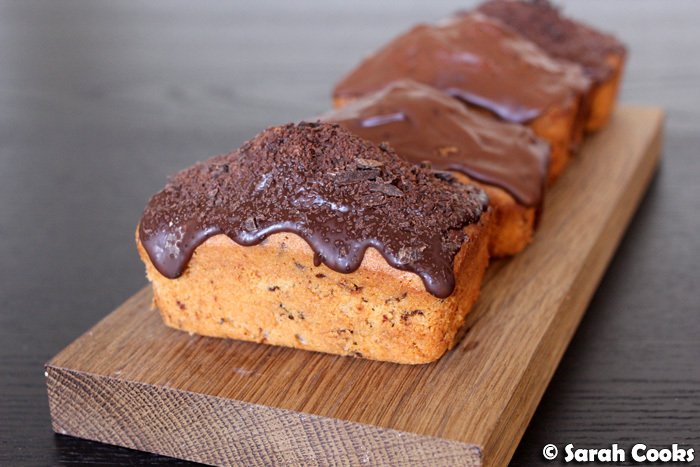 They're moist and dense little loaves, fragrant with almond meal and studded with finely chopped chocolate. It felt very much like a weekend cake, a simple cakey cake, the type you could leave on your kitchen bench and feed to friends who pop in over the weekend. Very cosymaking. I found the recipe in one of my fantastically specific German baking books: Kleine Kuchen (Small Cakes). 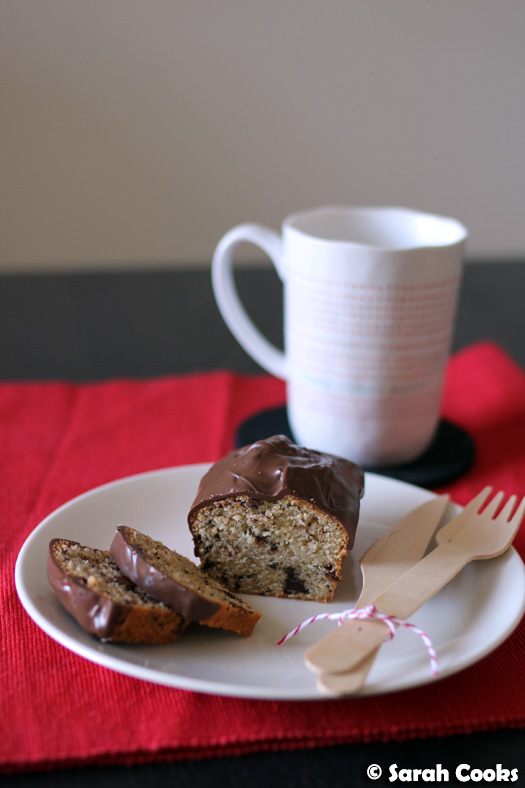 The original recipe calls for a 20 centimetre loaf tin, I decided to play up the cuteness factor by baking the batter in mini loaf tins. (N.B. I found it filled six indentations of my 8-indentation pan). I also replaced the suggested hazelnut meal with almond meal, as I already had it in the pantry. I imagine it would be nice with hazelnut meal too - so will try that next time! It was quite easy - I did everything by hand, from chopping the chocolate, to creaming the butter, to whisking the egg whites to soft peaks. In such small quantities it wasn't too much of a strain, and indeed, less effort than dragging out my food processor or my KitchenAid mixer out from under the sink. Wooo! If you can be bothered, you could temper the chocolate for coating the cakes to get a smooth, thin, crisp coating - indeed, in Germany they sell Zartbitter Kuvertüre and Kuchenglasur specifically for this purpose - but I was quite happy just melting chocolate and roughly spreading it over the cakelets, letting it drip higgeldy piggeldy down the sides. Preheat the oven to 175C and grease six indentations of a mini-loaf tin with butter. 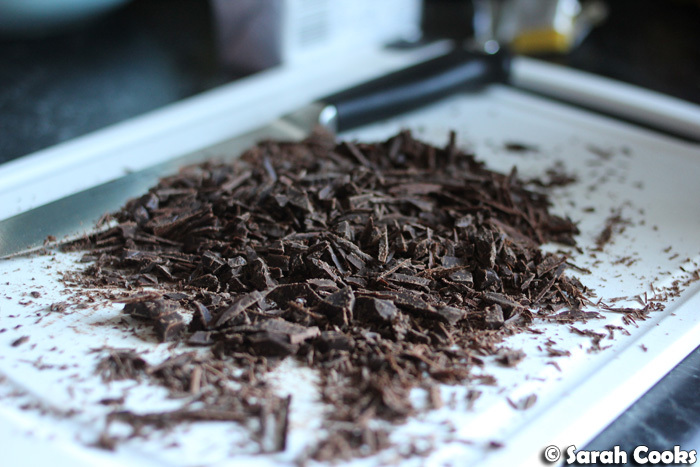 Chop the 75 grams of chocolate roughly and set aside. Add the egg yolks, one at a time and mix in well. Sift the flour and baking powder over the butter mixture, and fold in gently, followed by the almond meal and chopped chocolate. Place the egg whites and salt in a clean, dry bowl. Whisk until firm peaks form. 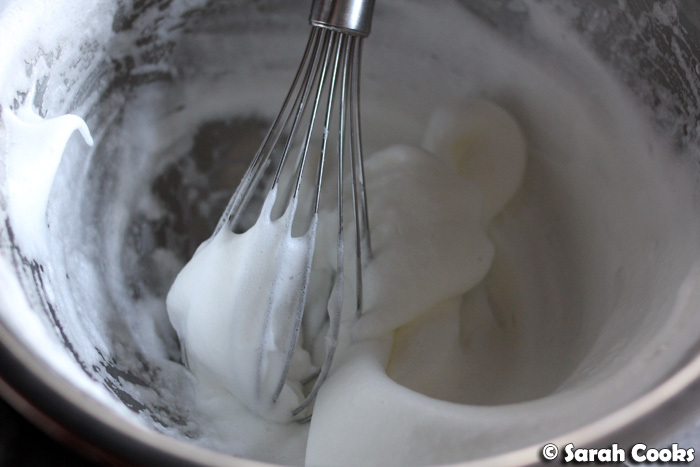 Add the beaten egg white to the butter mixture in two batches, folding gently. 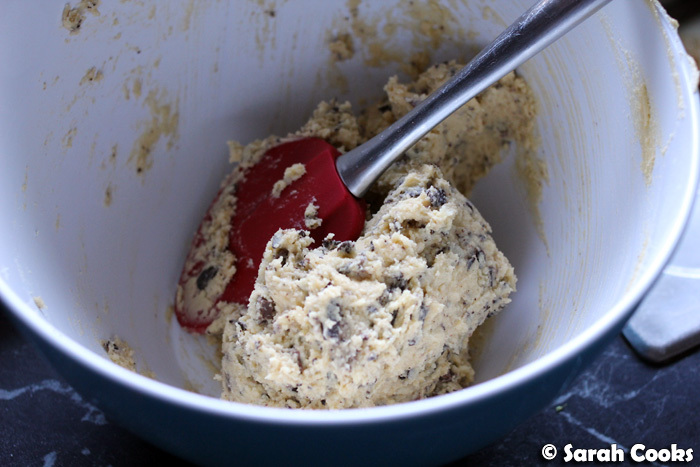 Spoon the mixture evenly into the loaf tins. Bake for 20-30 minutes, or until cooked when tested with a skewer. 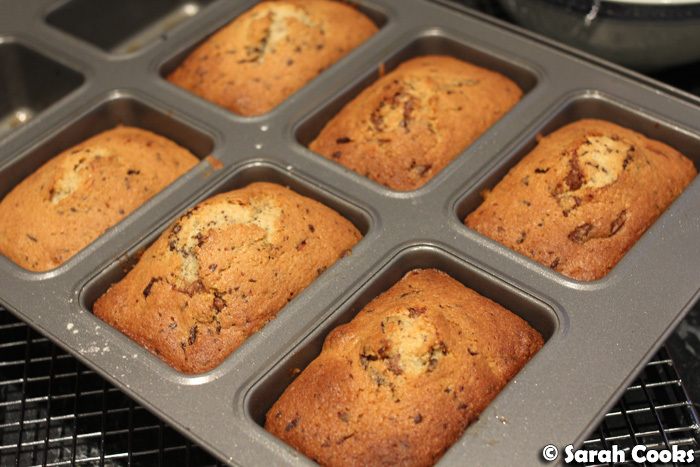 Allow to cool for 10 minutes before turning out onto a wire rack to cool completely. 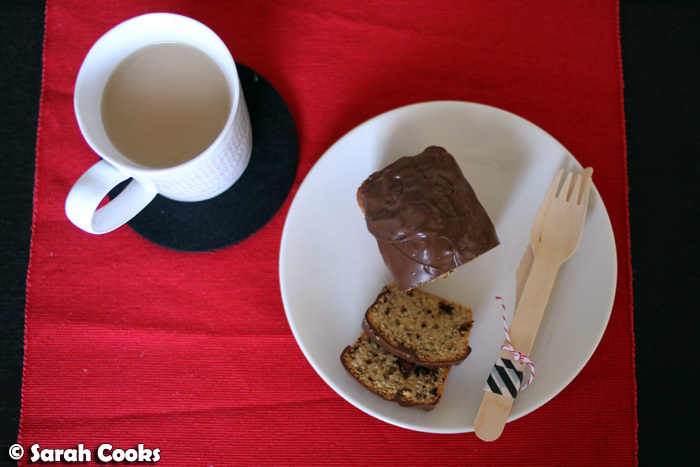 Melt the 100 grams dark chocolate and pour over the mini loaves. Makes six mini-loaves or one 20-cm loaf. You creamed the butter by hand?! MAD PROPS. Daisy - Hehe it helped that it was a small amount and that it was a warm day! 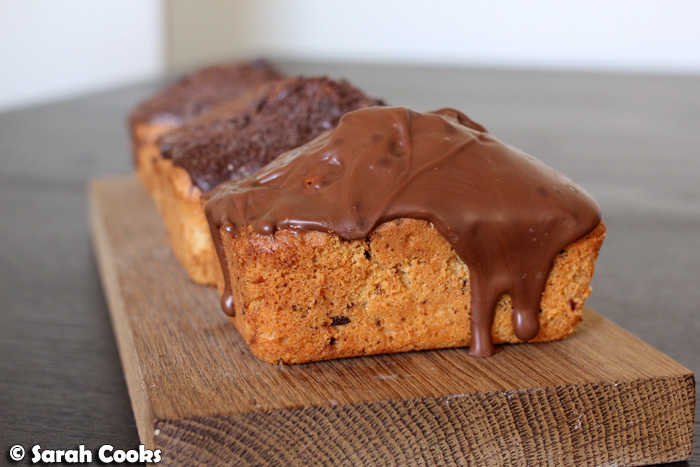 Helen - It's even yummier in little slices!!! They look amazing! I don't have a kitchen aid, but by hand? That's insane!